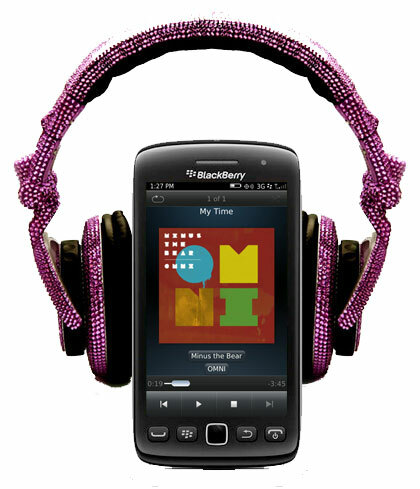 More Details on new BlackBerry Music sharing service emerge! Once the free trial expires, the service will cost $5/mo. With the app installed, you can choose up to 50 songs of your choice. Apparently the catalog selection is pretty good! From there, you invite your contacts via BBM, etc. to also download the app if they don't have it and join your music sharing network (invited contacts must pay the $5/mo. also to take part and remain part of the service). From there, you can listen to not only the 50 songs you've selected), but any of the 50 songs from your music sharing network. So if you have 20 contacts, you'll have access to 1,000 other songs in addition to your 50. We're not sure yet if there's a limit to how many people you can share with, but essentially the more people in your music sharing group the more music you'll have access to. I like the premise, though of course I'm not a huge fan of the price. But if it hits critical mass it'll be an interesting way to discover new music from your friends and colleagues and I think I'd personally shell out for that. Especially if we see some advanced stats tracking too - I wouldn't mind knowing which songs from within my network get listened to the most so I know which of my friends to put in charge of DJing my next party. Assuming it launches as outlined above, how are you liking the concept? Would you pay $5 for it? Think all your friends will too? Let us know what you think in the comments!